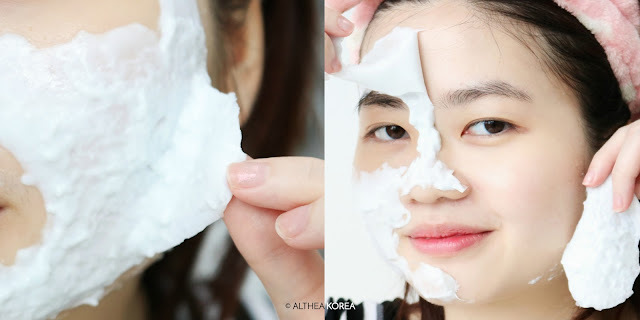 Ready for yet another weird and wonderful K-beauty product? We already know what you’re thinking: what in the world is that baby doing? We’re not quite sure, but it’s undeniable that Dr. Jart+’s Dermask Shaking Rubber Masks are a sight to behold! These adorable yet slightly creepy looking cups are packed with skin nourishment in the form of a mask to keep your skin looking in tip top shape. Here’s the beauty breakdown on the Dermask Shaking Rubber Masks! Dr. Jart+ exploded on the beauty scene when they developed a blemish balm for patients healing from cosmetic surgery, combining both makeup and skincare in the BB cream formula we all know and love! Dermatologically developed, Dr. Jart+ focuses on highly effective products made with safe yet potent ingredients. They’re focused on targeting skin concerns, ultimately helping beauty lovers to achieve natural radiance and a luminous glow, a.k.a skin nirvana. The Dermask Shaking Rubber masks are equal parts art, fun and beauty. I mean, just look at those sucking babies! These modeling masks come in two parts that you mix together and shake up to make the perfect mask cocktail. We’ll be talking about 3 of their variants today: Hydro, Soothing and Luminous. The Hydro version contains hyaluronic acid and a water botanical complex that creates a moisture barrier, ensuring that the skin stays hydrated and plump, while the Soothing one has Arpinia extracts that calms irritations and smooths out rough textures. Last but certainly not least, the Luminous version is formulated with Gluthathione to brighten the skin, giving you a radiant complexion. We’ve gotten our Pixie to try out the Hydro version today! The instructions of these mask are simple: mix both parts in the cup and shake it up like a smoothie. Then apply an even layer onto the skin using the spatula provided, leave on for 20 minutes to solidify before peeling away. Step 1 consisted of a milky blue liquid that had an almost gel-like texture, while step 2 looked like blue tinted water. After shaking it up, what we were left with looked reminiscent of yogurt in a tub. After her 20 minutes were up, we peeled away the now chunky, solid jelly to reveal bouncy, plump, skin underneath that’s smooth to the touch. Our Pixie was glowing! We’re super impressed with how this mask fared on the skin, and how its left behind such a great difference to the complexion. 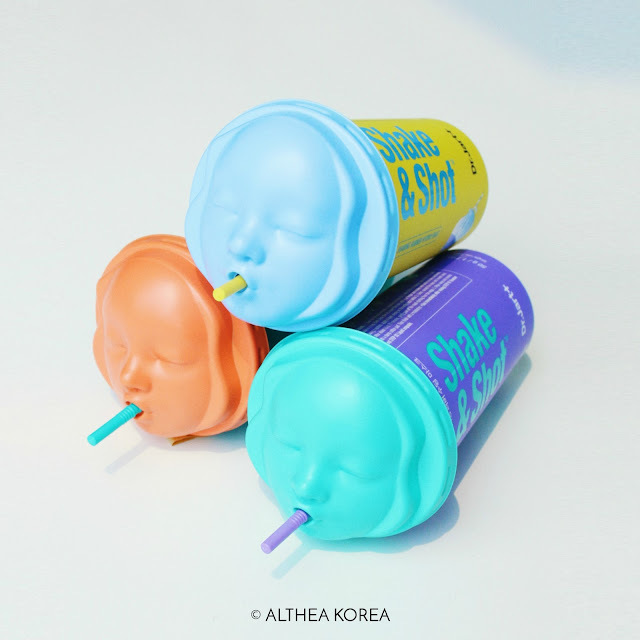 You can find these masks and other cool skin-tertainment K-beauty products on Althea's site. What do you think about these masks? Are you more intrigued or creeped out by these products? Let us know down below!